For centuries women in the Himalayas have been making warm, woolen clothing to cope with the cold, mountainous climate of their homes. The artisans of Naari, having been raised in this wool-working tradition, learned knitting and weaving from their mothers. Today they are working with professional designers joining their traditional patterns and stitches with contemporary concepts to create fashionable products. 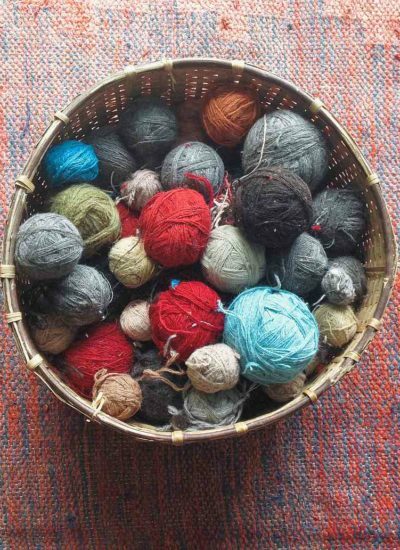 Relying on local materials, the artisans make various goods using wool in the natural colors found the region. Indian-made yarns, especially lambs’ hair, are used as well. The members of Himalayan Naari are creating an exquisite range of knitted and woven blankets, shawls, scarves, hats and other clothing items. 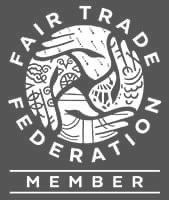 Due to the beauty and quality of their craft, business is growing steadily and more local artisans continue to join the project. Naari’s knitting is done by the mothers of Chakouri, a small community surrounding Himalayan Inter College. The school provides an outstanding education to the children of the region. As a result, many women move to Chakouri from their remote mountain communities so their children can have better educational opportunities. Living in rented rooms, the women were lonely and isolated, a drastic change to the traditional relationships of their home villages. Himalayan Naari has brought them together, providing a space for them to form their own vibrant community. 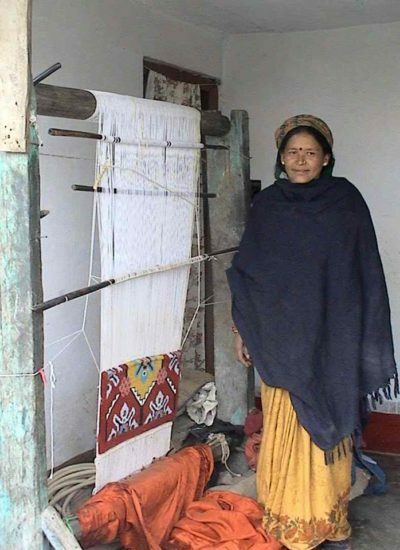 The Maati Women’s Collective provides the organization and leadership for Himalayan Naari weaving. The artisan weavers live in small mountain villages surrounding Munsiyari, one of the northernmost towns in India near the Tibet border. Women in these villages have woven for centuries, but their craft was dying due to the lack of methods to sell their products. With the market access provided by Himalayan Naari, the weavers are making more products and more women are joining the group. They are using their skills to gain economic independence. 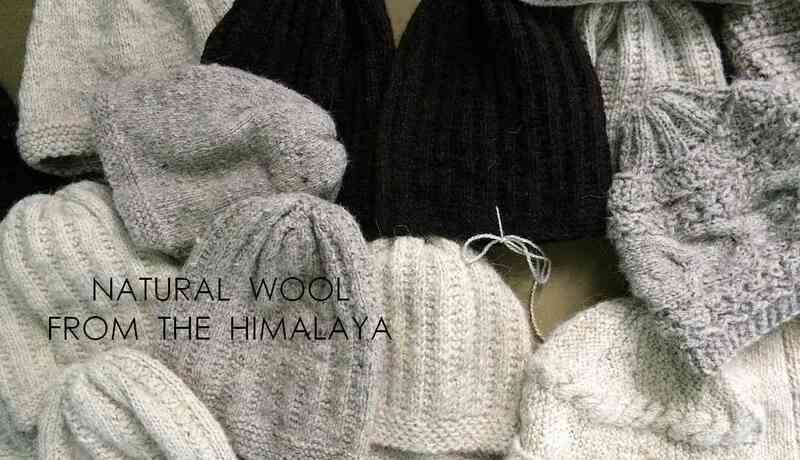 In an effort to use natural materials (wool & organic dyes) for knitting and weaving, Himalayan Naari conducted a pilot project with the help of Merrill Family Charitable Foundation. 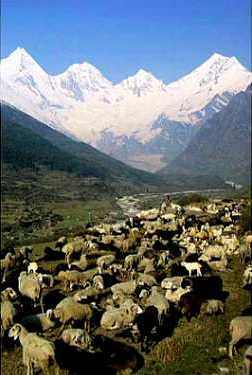 They obtained and processed wool from shepherds in the high altitude valleys bordering Nepal and Tibet. 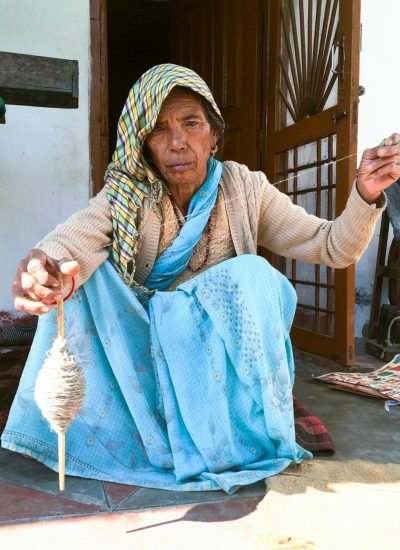 This hand-spun yarn was used for knitting caps and the products are drawing enthusiastic response from buyers. Situated at the border where India meets Tibet and Nepal, Darma valley is dotted with high altitude Trans Himalayan pastures. Every summer shepherds take their flocks to these grass lands. 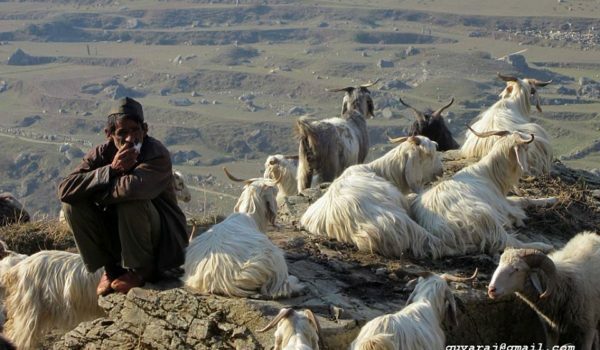 The wool obtained from the sheep is highly valued in the local markets as its the best in quality and clothes made from this wool are much in demand.